Three years ago, schools in England were given the option to administer a Reception baseline that would then be used as the basis for measuring progress in primary schools. The DfE approved three baseline products which schools were free to choose from. Over 70% of primary schools chose Early Excellence – the only supplier whose baseline was derived from observation rather than a test. Why was that? Among the key reasons given were that teachers and school leaders recognised that a method of assessment that didn’t remove pupils from the process of actually learning was preferable. In this ‘Assessment is for learning’ blog series we’ve already looked at some of the challenges of teaching in an accountability framework and the use of summative tests. We’re now going to look at the value of formative assessment which is part of the learning process itself. A report on assessment for learning, by the OECD, showed that “formative assessment promotes the goals of lifelong learning, including higher levels of student achievement, greater equity of student outcomes, and improved learning to learn skills”. There is a multitude of research and opinion to support the use of assessment for learning practices. In the same way that many people are given a blood pressure monitor to check themselves at home to make sure that a high result isn’t just down to the anxiety of being at the doctors, the classroom allows pupils to show what they can really do without the pressured environment of a test. During the course of a lesson, an experienced teacher picks up individual’s misconceptions, lack of understanding or opportunities for deepening learning through a process of watching, questioning and listening which they can directly address as part of the learning sequence – either in that lesson, a subsequent lesson or some targeted individual or group work. The research evidence for assessment for learning is large, so why does there seem to be a slide towards placing a higher value on summative testing? A large part of it is because of those high stakes summative tests that are so key in the accountability framework, as we’ve discussed before. The highly visible nature of these tests can shift the focus of learning within the classroom to focus specifically on those outcomes being tested. If teaching and learning shifts towards these testable outcomes rather than the broader curriculum, then it may seem adequate to show measurable progress in those testable outcomes through a series of tests rather than focusing on more broad and detailed assessment. A further part of that accountability is through the key stages; whether to a Local Authority, Multi Academy Trust board, an Inspector or a Senior Leadership Team. For reasons of providing support and intervention, as well as for accountability, they will often want to be able to compare pupils, teachers and schools. While this is easy with tests, it isn’t so straightforward with formative assessment. Through the previous National Curriculum, and APP in particular, there was a way that formative assessment could be turned into shareable data that had at least some comparability. Once levels were removed, this disappeared. Is there a move away from formative assessment to get ‘better’ data? If so, this seems to be a small gain for abandoning the positive impact on pupil learning and progress, self esteem and attitudes to learning. The good news is that the two don’t have to be incompatible. There are ways to retain all the good assessment for learning practice and generate sharable, comparable, useful data as a by-product. The first step should be to look at what is being assessed on an ongoing basis to make sure that it is primarily useful to inform teachers’ planning for pupil progression. The level of detail that is required can be decided in school but there are two key issues that need to be balanced. The first is avoiding having so many assessment statements that it adds an unnecessary workload burden for the teachers. The second is avoiding having so few objectives that the assessment becomes summative. If a teacher is only tracking pupil attainment in objectives to generate data, then there is little value in going beyond just recording a score, the extra effort needs to provide extra benefit. If you are creating a new assessment framework or evaluating your existing one, you will need to consider this balance. While very broad statements are not likely to be useful to inform planning, statements that are too granular can mean more time spent recording assessment than necessary. For example, compare a year 4 statement which reads “recall multiplication and division facts for multiplication tables up to 12 × 12”; with 12 statements that cover each times table individually. Ideally, statements will be broad enough to allow pupil progress in them over the course of the year/phase to be represented without needing to be broken down into each single, progressive component. 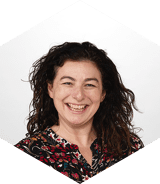 It’s also important that your assessment framework matches your school’s taught curriculum which is expected to be an interpretation of the National Curriculum. 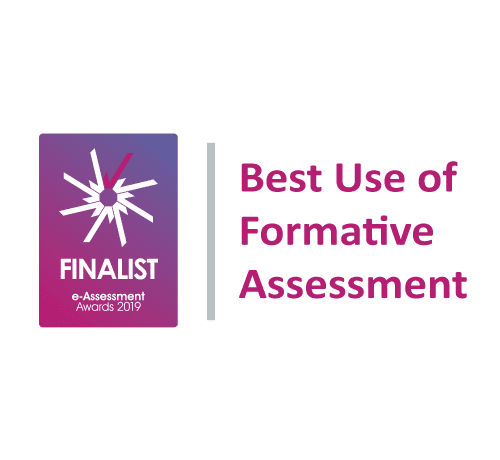 Once you are happy with the content and/or skills being assessed by your formative assessment framework, you’ll need to be confident that there is a shared understanding of how they will be assessed. There may be variations between individuals in terms of what constitutes being ‘secure’ in an objective and this needs to be addressed. Many schools find some form of moderation meetings useful in order to achieve a shared mindset. We’ve also seen the use of exemplars to help teachers make assessment judgements, as well as rubrics or ‘what to look for’ guidance that can give teachers confidence and improve consistency. Classroom Monitor has a number of tools that are in built for both moderation and teacher guidance. Of course, another way to support a formative assessment judgement may be a test, but it’s important to remember that what the teacher sees during learning time may actually be more valid than what is shown in a test situation. If teachers are assessing what they need to be assessing and there is consistency in their judgements then this part should be relatively straightforward, although it is the part that we see schools worrying about the most. Remember that there is no externally mandated way to show your progress within key stages, it has been deliberately left to school’s discretion. The most important thing about how you ‘grade’ pupils and how you track data is that it makes sense for you and your school. While some expectations are imposed via LAs and MATs, we have seen schools approaching this in a number of different ways. Some have stuck to a NC2000-esque steps and bands approach; using judgements in the assessment statements to calculate a sub-stage bracket that they fall into. Others use raw percentage measures; either looking at coverage of the whole or that which has been assessed. We also see an increasing number of schools that record a manual judgement, e.g. below expectation, at expectation, above expectation, which takes into account judgements against statements in a markbook alongside other information such as a test and where the teacher may expect them to be at this point in the year. Data needs to be easy to digest if it’s going to be actionable. Any assessment system setup which takes half an hour to explain to interested parties and another half an hour to understand isn’t as usable as it could be. More and more schools are reporting according to expectations – who is below, on and above track and is that OK based on where they were previously? This shift in mindset has caused us to rethink our approach to tracking which you can see in the first phase of the Attainment and Progress Reports which we’ve released recently; making it quick and easy to retrieve data for the whole school. Teachers recording formative assessment in an ongoing manner, produces measures which can be can compared against expectations that you set, giving data that is easy to share and easy to act upon. The key purpose of formative assessment is to inform and improve pupils’ learning paths, via both intervention and lesson planning. Enhanced reporting to parents and pupils having better understanding of their own progress and targets with pupils can be facilitated are further benefits that are easy to realise via Classroom Monitor.